This 5 bedroom luxury villa where you can leave the crowds behind and recharge your batteries in your own private refuge. 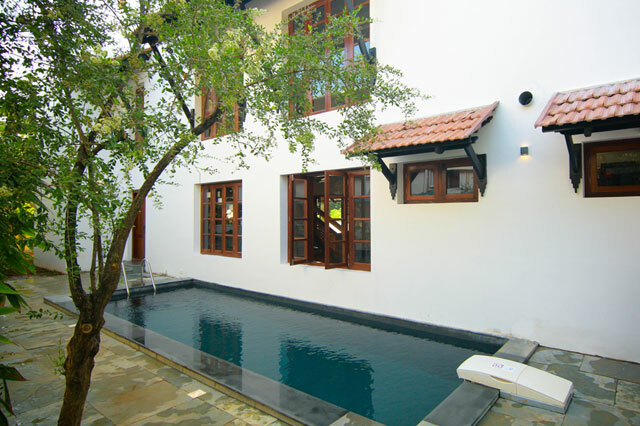 Just a short walk from Kovalam beach the villa blends Kerala architecture with the highest quality modern comforts. 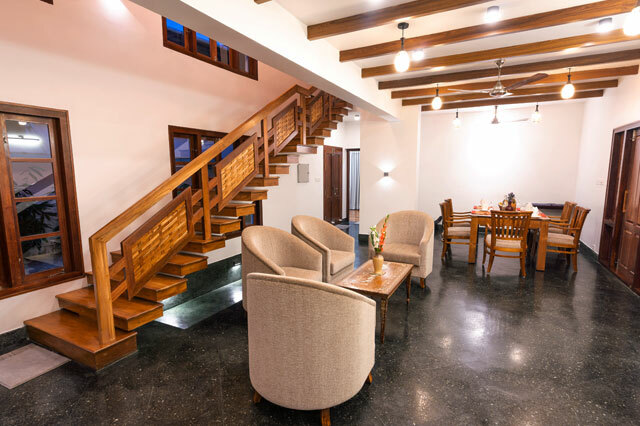 This lovely home away from home has 5 bedrooms, ample living and dining space as well as a fully equipped kitchen. Imagine opening the shutters every morning and taking in the expansive views of the sea from first floor and lounging in the tranquil outdoor living space. 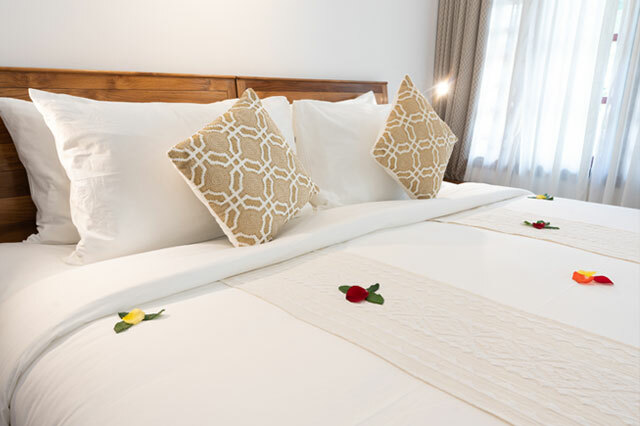 Spend the day lounging next to your private pool, soaking in the sun or gazing at the stars from your terrace. 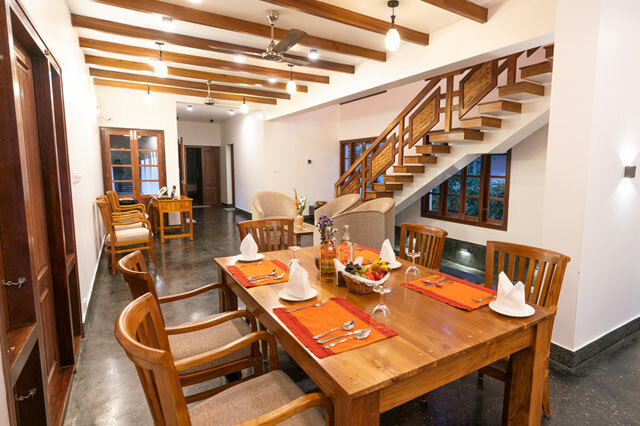 You may even want to spoil yourself with a traditional Kerala meal lovingly prepared by our Private chef. 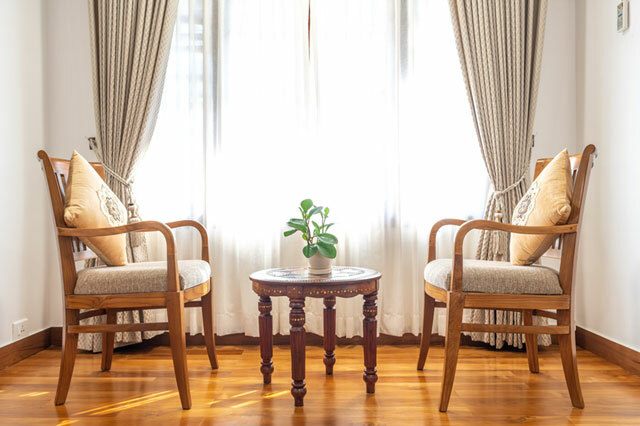 Boutique, Private and personalised Ayurveda and yoga. They don’t call Kerala “God’s Own Country” for nothing. 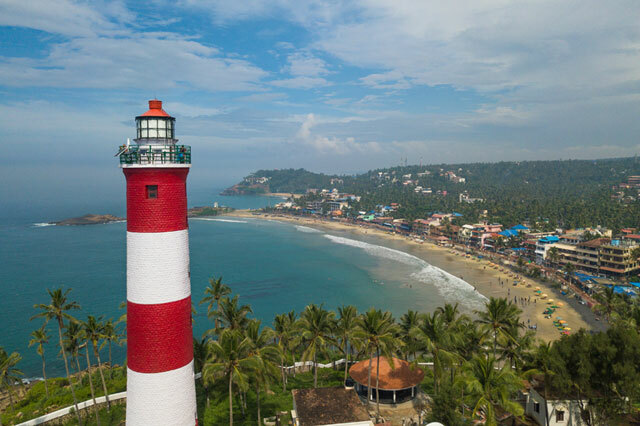 Stunning beaches, exquisite food, and a thriving natural landscape make this one of the top destinations for those seeking solace for their souls. 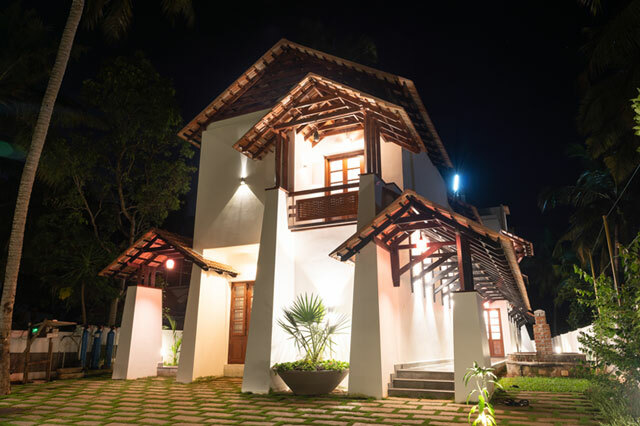 The Ayur Villa is a Kerala is boutique ayurveda retreat, offering modern conveniences within traditional Kerala architecture. 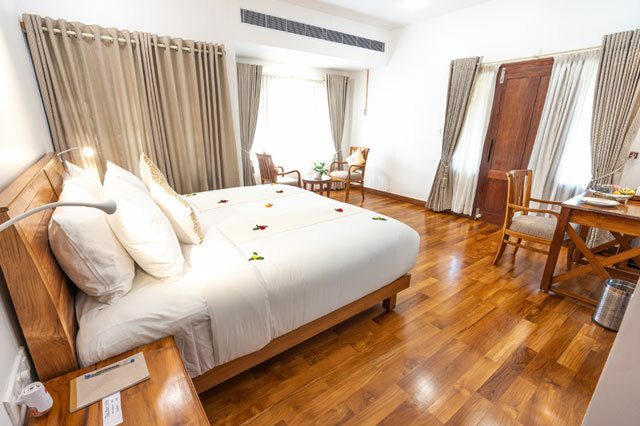 This boutique luxury retreat is the perfect holiday home in Kovalam beach, with five spacious rooms and a private pool. 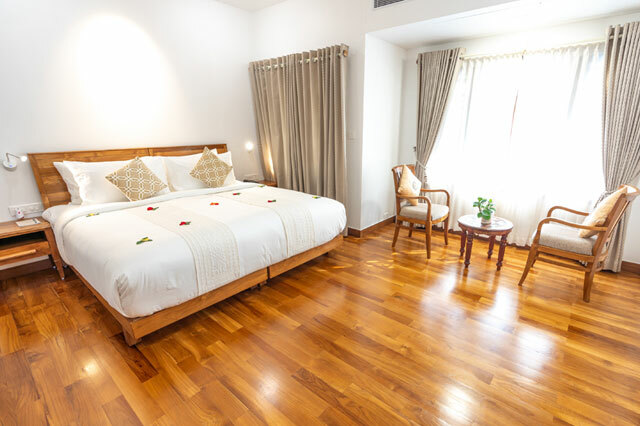 The rooms all have wooden floors, attached bathrooms, along with an elegant dining area. Ayurveda is a personalised alternative medical treatment which helps to regain the imbalances of body and mind through the tradition of dinacharya (daily routine) is one of the single most powerful Ayurvedic tools for improving overall health and wellbeing. 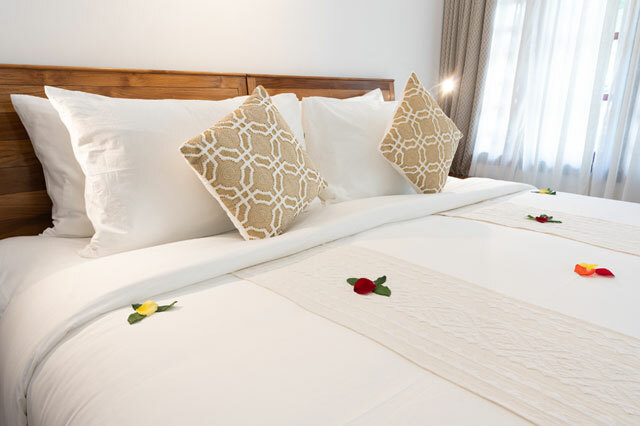 2) Masseurs need to do massage for maximum 03 guests daily which enhance the quality of the massage. 3) Highly qualified personalised doctor who monitor the treatment on a daily basis. 4) We buy vegetables and fruits daily based on the diet prescribed by the doctor. 5) Ms.Anjali, the owner of Ayur Villa is a yoga teacher and she trains yoga technics for a better living. 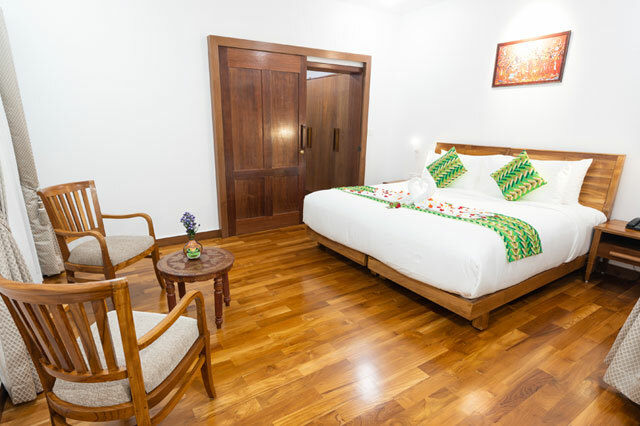 6) The rooms are very spacious with luxury amenities makes the stay more comfortable. 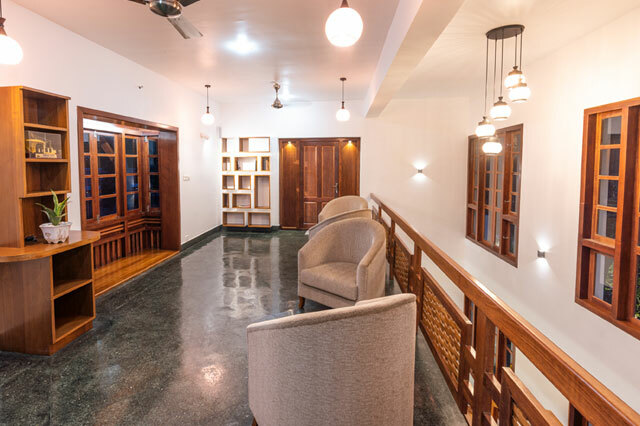 7) Traditional ayurveda spa room with highly experienced therapists.